Ten candidates vying for four seats on the Zachary Community School Board in the Nov. 6 election want a say in the policies that govern Louisiana’s No. 1 school system. Incumbents seeking reelection say their top priority will be ensuring Zachary’s seven schools continue to provide what makes them attractive — well-qualified teachers, modern facilities and plentiful extracurricular offerings — even as they cope with a fast-growing student population. Several political newcomers running for the board echo that sentiment. But they also say the board and school leaders need to foster better relationships with parents and do more to support teachers’ professional development. The nine-seat board oversees a school system that was created in 2003. Five members were reelected without opposition. They are Gaynell Young, District 1; Marty Hughes, District 3; Hubie Owen, District 5; Ann Watkins, District 8; and David Dayton, District 9. Incumbent Brandy Westmoreland is seeking a full term after being appointed to her seat in 2016 to fill the unexpired term of a board member who stepped down. Westmoreland, 40, a vice president of Landmark Bank, has one daughter in third grade in Zachary and another who graduated from the city’s high school. “I want to make sure the public feels that we’re good stewards of their money,” she said. She currently is the chairwoman of the board’s community involvement committee, which was launched last academic year in an effort aimed at greater transparency. “I definitely want them to feel they can come to us,” Westmoreland said, especially when it comes to suggestions on making schools safer. Her opponent is Lindsey Whitty, a 37-year-old stay-at-home mother of three Zachary students. She is a school volunteer and freelance photographer. “We’ve accomplished so much as a district with our rigorous academic successes that I think we have the opportunity now to prioritize innovation and creativity,” Whitty said. She wants to see more emphasis on STEM disciplines, the arts and global perspectives. Those things promote “outside-of-the-box thinking,” which sets kids up for success later in life, she said. She plans to consult local businesses on what skills they seek in employees and how students’ education could be improved. “Business people really are looking for creative minds, innovative thinkers, people who are able to collaborate,” Whitty said. Westmoreland and Whitty are both no-party candidates. Kenneth Mackie, who served on the board from 2011 to 2014, wants to help students — especially athletes — make the most of Zachary’s high-quality academic offerings, such as the Advanced Placement program and dual enrollment classes where they can earn college credit. Mackie, 58, a Democrat, is the director of math and science for Southern University’s Upward Bound program. “My background is in civil engineering, so as far as STEM is concerned ... I would like to bring more of that type of experience to the school board and offer my services in the schools,” he said. He also wants to explore installing metal detectors and putting more security personnel at schools. Mackie’s opponent, Nikki Gautreaux, said she’s running in hopes of bringing more “young blood” to the board. Gautreaux, 36, is an OB-GYN at Lane Regional Medical Center and mother of three children attending Zachary schools. 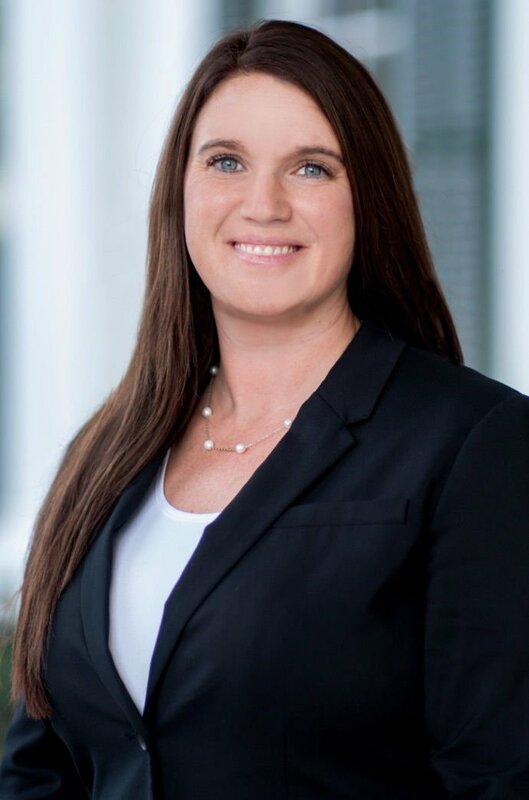 Gautreaux, a Republican, said her priorities include changing the public image of the school board and district, which sometimes seem “hush-hush and closed off to the public.” She said it’s important that parents feel can they can ask questions about why their child was placed in a certain class, for example. Gautreaux also wants the board to find funds to make technology such as robotics available to all grade levels and to support teachers looking to pursue additional training. “I want to make sure that teachers have board members that they feel they can approach ... to make sure they feel like they can continue their education,” she said. Incumbent Heidi Vessel, a Democrat first elected in 2014, plans to push for facility upgrades if reelected. A 49-year-old attorney, she has two children in Zachary schools. “We have several new subdivisions coming online, so what I’d like to see is that our class size not increase,” she said. She also wants Zachary schools to reach nationally competitive test scores and be designated as Blue Ribbon Schools. To accomplish that, Vessel said, the district must offer teachers training, opportunities for advancement and other incentives to retain them. Neighboring districts “come to fish in our back pond because we hire the best and brightest,” she said. Teacher departures also worry Rose Barfield, who’s seeking a spot on the school board after spending the past 13 years as a school volunteer and the past two on the board’s community involvement committee. Barfield, 43, is a stay-at-home mother of two Zachary students. Barfield, no party, said she wants to investigate why the teachers have left Zachary and what can be done about the issue. Schools need to communicate more with parents and be more welcoming to those interested in volunteering, Barfield said. “I feel like there is almost a disconnect between parents and the schools,” she said. She also said the district should make a strategic plan for handling student population growth and encourage more universities to recruit in Zachary schools. Amy Schulze, 42, no party, wants to give students more real-world skills by incorporating disciplines like robotics and coding into classwork. Schulze, the mother of a fifth-grader, volunteers regularly in Zachary schools. She previously was the Zachary city planner and now is a project engineer at NTB Associates. Schulze said it’s important to prepare students “not just for college, but if they decide to go to a trade school or even the workforce.” She also hopes to alleviate teachers of some of their paperwork burden. Beth Kimmell, 67, points to her experience as a longtime board member and retired director of the St. Patrick’s Episcopal Day School when asked why people should vote for her. “I feel like I still have more to contribute to our school system,” especially as it faces challenges associated with continuing growth, she said. Kimmell has served a total of 11 years on the board. She was on the original board in the early 2000s as the district sought to separate from the East Baton Rouge Parish Public School System and planned its first building projects. With needs for facility improvements arising once again, “I feel like I can help with that,” she said. Jennifer Boyd, a 39-year-old deposit operations manager at Landmark Bank, and Ginger Zeringue Deroche, a 34-year-old in-home day care operator, are hoping to unseat Kimmell. Her plans include being available to hear out the concerns of parents and using her “positive energy and attitude” to solve problems. “If I think the community has an issue, I want to be the one to address that issue,” she said. Deroche, who taught special education preschool in Baton Rouge for nine years, said people too often “feel that their voices aren’t heard” in Zachary schools. “It is a small town, so that shouldn’t be a situation,” said Deroche, a mother of a Zachary sixth-grader and a 3-year-old. “Often, parents are concerned that their students are just a test score — that we’re not looking at the whole child and their development,” she said. All three candidates for the District 7 seat are Republicans. Early voting for the Dec. 8 election starts Saturday and continues Nov. 26 through Dec. 1.